One Spring Saturday a year, the weekly Cabbages and Frocks Market hosts the Dog Day Afternoon, bringing together canine couture, dog toys, food and fashion. Ever tried Doga? That's yoga with your dog. Well, now you can at a free class which you can join in with your four legged friend. One of the highlights of the day is the Good Boy Dog School headed by TV personality Dima Yeremenko, who appeared on 'Britain's Got Talent' and 'That Dog Can Dance! ', presenting new routines at 12 noon and 2pm. 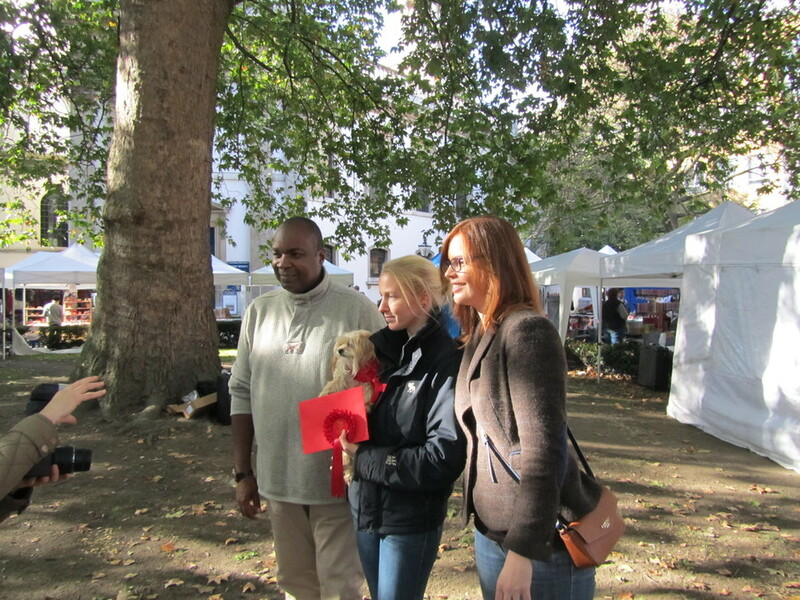 If you want to enter your pooch, competition categories include 'A bit of ruff' for mixed breeds, miniatures and puppies, all judged by Mahny Djahanguiri from Dogamahny and Rob Alleyne of Dog Owners club who can be seen on BBC3's 'Dog Borstal'. You can also stock up on accessories for your pet, commission a dog portrait or treat your hound to luxury memory foam dog bed. What are the best dining options near Cabbages and Frocks: Dog Day Afternoon London? Cabbages and Frocks: Dog Day Afternoon gyms, sporting activities, health & beauty and fitness. The best pubs near London Cabbages and Frocks: Dog Day Afternoon. Cabbages and Frocks: Dog Day Afternoon clubs, bars, cabaret nights, casinos and interesting nightlife. Where to have your meeting, conference, exhibition, private dining or training course near Cabbages and Frocks: Dog Day Afternoon. From cheap budget places to stay to luxury 5 star hotels see our special offers for Cabbages and Frocks Market hotels, including Park Plaza Sherlock Holmes Hotel London from 74% off.